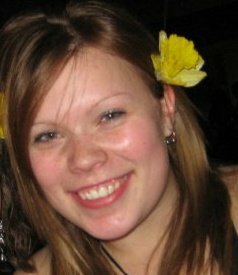 On May 28th 2011, 20 year old Madison Maddy Scott disappeared from a party at Hogsback Lake, approximately 25 km south of Vanderhoof B.C. She was last seen at around 3:00 a.m on the Saturday morning. Police located her tent and truck, but search efforts to date have not managed to find Madison. This investigation remains a priority for North District Major Crime , says Cst. Lesley Smith, North District Media Relations Officer. We believe that there is information out there and it is our hope that someone will come forward to help us determine what happened. The police need information and Maddy’s family need answers. Madison’s parents, Dawn and Eldon Scott have been struggling with their daughter’s disappearance and cannot believe a year has gone by with still no leads to her whereabouts. The family is now offering a $100,000 reward for information that will lead to the arrest and conviction of the individual or individuals responsible for her disappearance. To mark the one year anniversary of the disappearance of Maddy, the family has organized a Poker Ride to take place on May 26th, 2012 starting at the Hogsback Lake campsite. Almost one year ago, on May 28, 2011, Madison Scott, 20 years old at the time of her disappearance, went missing from the Hogsback Lake campground 25 kilometres southeast of Vanderhoof, which is one hour west of the city of Prince George in the Interior of British Columbia. Her family are in shock and disbelief at the anniversary of her disappearance this month.Madison, or Maddy as she is known to her family and friends, was camping with a group of young people who were celebrating a friend’s birthday. Everyone left the party by about 4:00 am and Maddy was left alone at the party; apparently spending the night alone, in her blue tent set up beside her older white Ford pick-up. Something happened that led to Maddy’s disappearance after everyone left the party and foul play is suspected.Maddy’s parents, Dawn and Eldon Scott, went to the campsite on the Sunday of that fateful weekend when they decided it was strange that she had not been in touch with them. Maddy is very close to her family and she would regularly check in with her mom and dad when she was away from home. An extensive search of the area was conducted by the RCMP, Search and Rescue, and family and friends. To this day, Maddy remains missing and many questions remain unanswered.After a long and difficult year, and despite an ongoing and in depth RCMP investigation in addition to the ongoing searches, awareness campaigns and pleas from her family and friends for her safe return, there has been no real evidence of what happened to Maddy. The family and their team of supporters continue to be hopeful that anyone with information will come forward; Someone knows where she is but they have not come forward with the truth. To highlight the fact that Maddy is still missing a year later, the family and its supporters have organized a poker ride to take place starting at the Hogsback Lake campsite and covering the extensive network of trails radiating from the place where Maddy was last seen. The trails have been divided into three groups; one for walkers, one set for those on horseback and another trail system for those on quads. The idea is that participants will bring fresh eyes and vast coverage of the trails in the area with the hope that someone will notice a clue that will lead to discovering where Maddy is. The poker ride is not a fundraiser; there will be prizes awarded as is usual at this type of event and the goal is to heighten awareness that she is still missing and to lead to new information that brings her home to her family. The poker ride is aptly titled Let’s Go All In for Madison Scott with the sole purpose to FIND MADDY and bring her home. The poker ride takes place Saturday, May 26. Further information can be found on the Help Find Madison Scott Facebook page or madisonscott.ca, as well as on the numerous event posters on display in the Vanderhoof and Prince George area. The family encourages the public to participate and help further the search. If anyone knows any information that will lead to the discovery of Maddy’s whereabouts they are asked to call the Vanderhoof RCMP detachment at 250-567-2222 or CrimeStoppers at 1-800-222-8477. A day without a loved one is uncomfortable, a month without a loved one is unbearable and a year without a loved one leads to despair, heartbreak and overwhelming grief. The Scott family appeals to the public, especially as people go out and about in the outdoors this coming summer holiday season, to report anything they find suspicious or of interest to the RCMP. The family is hoping that the break they need will come soon, and it will likely come from good people like you.